Now, however, a new study may have discovered that the Milky Way will experience a different type of galactic collision, rather earlier than the one involving Andromeda. This event will apparently incorporate the Large Magellanic Cloud (LMC), which currently exists as a sort of ‘satellite’ galaxy to our own. According to the most recent models on this object, it may be ‘sucked in’ by the Milky Way’s central black hole, Sagittarius A*. This event will apparently not exactly be a peaceful amalgamation. Instead, it may be a rather violent incident in which Sagittarius A* may emit a great deal of volatile radiation, and objects in the Milky Way may be blown right out of their normal locations within it. 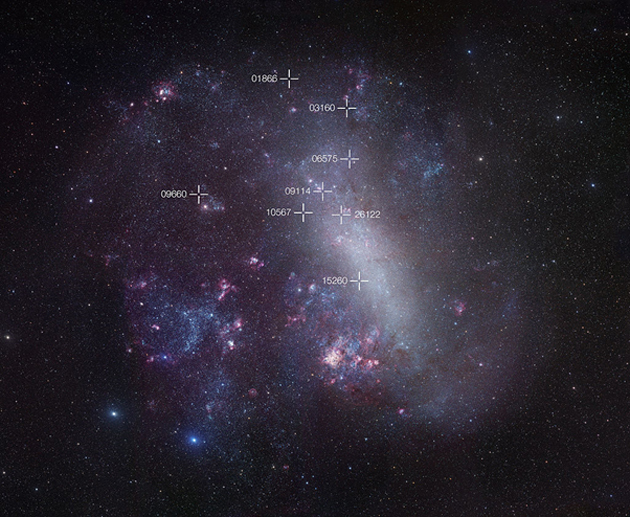 In short, Sagittarius A* may ‘wake up’ from its current dormant state. Astronomers have also found evidence to suggest that it will also increase in mass and start sucking in other types of matter in its vicinity as a result of the LMC’s absorption. The Cloud was thought of as able to postpone this event by orbiting the Milky Way with sufficient velocity to be able to evade the enormous ‘pull’ of the black hole. 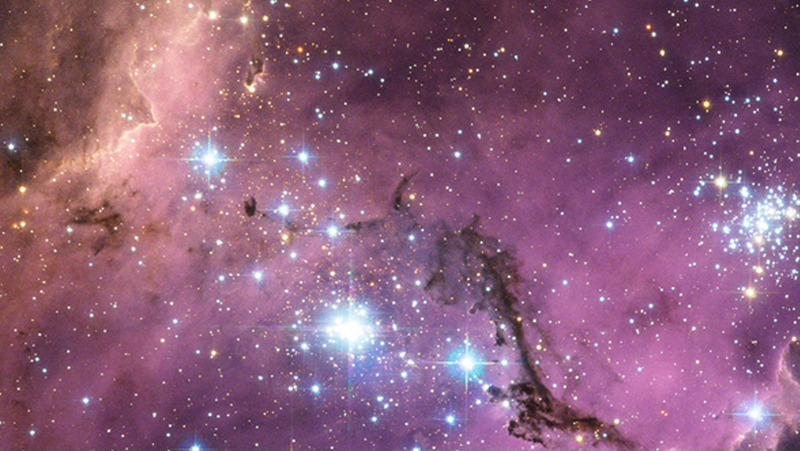 Therefore, the LMC was estimated to be capable of survival for at least a few billion years. However, the analysis of new data at the University of Durham has cut that estimate down to size. These findings, which are based on the latest recordings we have on the LMC, indicates that the cloud does not, in fact, have the speed necessary to avoid Sagittarius A* for quite as long as previously thought. This data shows that the Cloud also has more dark matter than previously thought. Therefore, the LMC’s life expectancy is now thought to considerably short, in cosmic-body terms. In other words, the Cloud may fall into Sagittarius A* much sooner than older estimates led us to believe. Therefore, the nature of the Milky Way as a whole may also be subject to change much earlier than imagined. These findings were made as a result of a joint project between the Durham University’s Institute for Computational Cosmology and the University of Helsinki, using new LMC data to which the EAGLE supercomputer-generated model of galactic formation was applied. What Will Happen to the Earth During the Milky Way’s Collision? It is not completely clear what will happen to some specific objects, such as this solar system, within the Milky Way when the LMC hits it. The Durham/Helsinki team concludes that it may emerge unscathed from the event while being treated to the greatest light show in the galaxy in the process. On the other hand, some of the simulations suggest that the collision will be so violent that the system may be disrupted, or even completely ejected from the galaxy. In this case, it may be left floating in unfamiliar space, possibly with some new stars and other celestial bodies. In any case, the human race may not be subject to any distress or otherwise about this situation. This event is thought to take place 2 billion years in the future, by which time there may be no people on Earth at all. In this case, they will also not be around for the next great galactic collision to affect the Milky Way, which, of course, is the merger with Andromeda. These new findings may not sound like good news, particularly for the LMC. However, Professor Carlos Frenk of Durham asserts that events like these are simply a natural part of the universe’s lifecycle. They are also a normal part of a galaxy’s life. In fact, the Milky Way is rather atypical in this respect, as it may have collided with only a handful of mini-galaxies throughout its history. The new theory of the Milky Way/LMC collision has also been published in the Monthly Notices of the Royal Astronomical Society. It is another example of the extensive work astronomers have put into their assessment of the galaxy and how it will behave in the future. This research, therefore, may also inform where we are going – and perhaps where we should be going – in the distant future.